Legendary Yosemite climber Ron Kauk was born in Redwood City, California on September 23, 1957. At age 14, Ron went on a 20-day backcountry experience that was organized by his school. For the fun of it, one of the adults bet a milkshake for anyone who could complete a difficult climb, which Ron successfully won. Transfixed by the beauty of climbing, and encouraged by role models in the rock climbing community in Yosemite, Ron was faced with the choice of continuing with his formal education, or moving his education to a different venue. He chose the path of nature and moved to Yosemite at age 17. At the climber’s campground in Yosemite Valley, known as Camp 4, Ron was surrounded by a community of like-minded individuals seeking meaning in the vertical challenges of the granite walls – walls carved by the forces of nature. A list of Ron’s contemporaries would be a Who’s Who of American rock climbing. Together, they explored the Valley and beyond, venturing into the granite domes of the high country in Tuolumne Meadows and down into the eastern Sierras. They had a blank canvas in the natural art of Yosemite, and pushed the limits of human climbing. Ron’s climbing accomplishments are many, but they all involve expanding the horizons of climbing. Among the more iconic achievements is a boulder problem right in the middle of Camp 4 known as Midnight Lightning. Another well-known climb is Astroman which is on the eastern face of Washington’s Column below North Dome. Yet another, Magic Line, is a very thin crack that is on the right side of Vernal Falls which Ron considers one of his “lifetime accomplishment” climbs because of its difficulty. These climbs, and many more, can easily be found on climbing videos and web posts as signs of the admiration by the world climbing community for Ron’s barrier-breaking vision in rock climbing. Ron’s career as a climber quickly reached international proportions, and he spent several years in Europe exploring its climbing areas and participating in climbing competitions. His reputation created media opportunities, including roles in the Hollywood productions Cliffhanger and Mission Impossible. He continues to consider climbing as a way of life that furthers his education and commitment to respecting Yosemite, a place that powerfully evokes the reality of our connection to the natural world. Ron in more recent years has been working to express his appreciation for Yosemite. He has actively engaged with the Native American community which rightfully has a spiritual and historical connection to Yosemite. He worked on a project to restore Fern Spring as a beautiful and unlittered location where entry into Yosemite Valley can be celebrated by communing with its pristine water. And he has spent the summers as a volunteer in the Tuolumne Meadows campground supplying firewood for ranger camp, organizing cleanups, and reminding visitors through countless conversations about the beauty of Yosemite. In August, 1998, a freak accident gave Ron’s life a new twist. Ron was riding his motorcycle on the main one-way loop in Yosemite Valley. Just as Bridalveil Falls was coming into view, Ron saw a car coming the wrong way. Ron tried to swerve, but it was too late. His left leg hit the car, and it was broken. Ron had never sustained a major rock climbing injury, but ironically, he now had a broken leg. His leg in a cast, he spent some time recovering with his family and friends away from Yosemite, but as soon as he was able to get around on his own, he returned. One moonlit evening, Ron found himself at the Valley View pullout, looking at Bridalveil Falls and the silhouettes of the granite formations, all familiar to him in their intimate details from his climbing experiences. He was overcome by their beauty, and what they had done for him — struck by the kindness of nature, how it had saved him from his youthful predicament, and what his life as a climber in Yosemite had taught him. Tears welled from the emotions of gratitude and appreciation. A clarity of commitment emerged, how he could share the kindness of nature with others. It struck Ron that the kindness was expressed in so many ways — the way in which the huge granite formations were formed so patiently over time, carved and polished in infinite variations, all of which he appreciated through his climbing; the annual cycle of snow, rain, and runoffs that supply the beautiful rivers and springs; the generosity of Fern Spring that graces the entrance into Yosemite Valley by providing a steady flow of the purest of water; the flora and fauna that thrive in this environment and respond to the annual cycles in majestic forms (giant sequoias and the bears) as well as the delicate (the wildflowers and the tiny frogs). The water that runs out of the tap in San Francisco is a precious symbol of this kindness, for without that, we might be drinking water created by the carbon-intensive evaporation of sea water in desalination plants littering the California coast. Ron, beginning as a young man downstream from the Hetch Hetchy, has figuratively swum upstream to the water source, and through his life as a climber, come into contact with the realities of nature. Ron Kauk offers educational presentations for rock climbing clubs, outdoor equipment venues, schools, juvenile justice facilities, and elsewhere. He tailors the slide-show or presentation to the group. 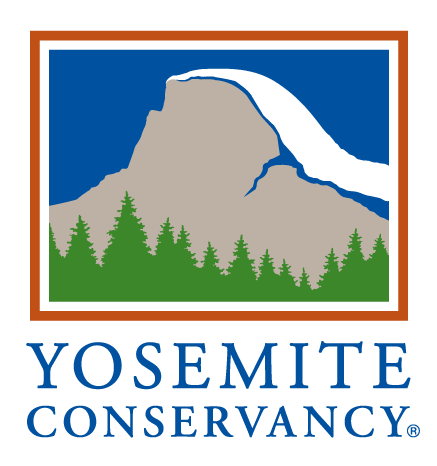 During the summer, Ron also shows the film Return to Balance: A Climber’s Journey on weekend nights at the Yosemite Visitors Center. Please contact us if you would like Ron to provide an educational presentation.